Capt. Edward H. Lundquist: What’s your involvement in the NATO Sea Sparrow program? 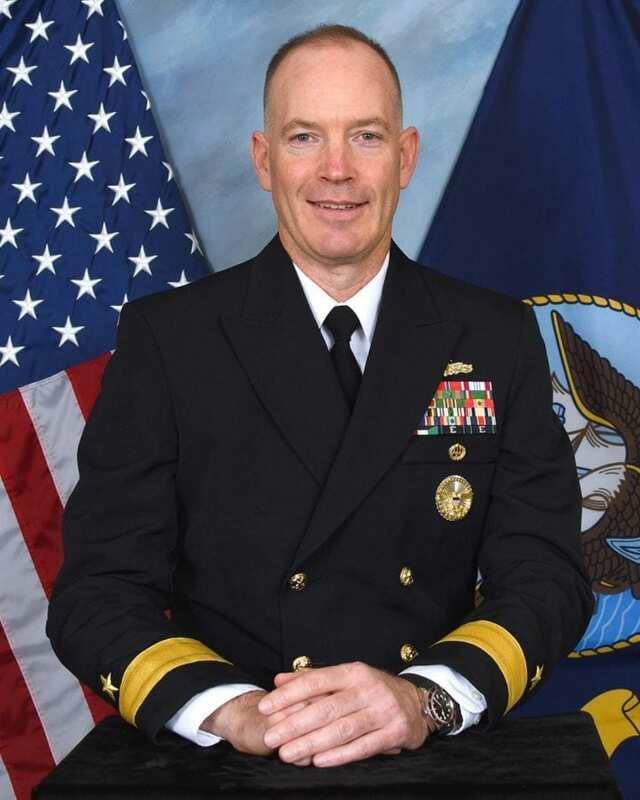 Rear Adm. Douglas Small: As the PEO for IWS, I’m the U.S. Navy’s program executive in charge of cost, schedule and performance for the program. But as the chairman for the steering committee for the consortium, I have to act on behalf of the consortium and all of its member nations. This isn’t a “United States thing” – it is a consortium thing. What are the benefits to the U.S. of being a part of a weapons program such as this one, as opposed to just going on our own? There are the tangible benefits of sharing the costs of development and then production across all the nations. But then there’s the intangible benefits of bringing some technologies along from other nations that maybe is not a strength of any one particular nation, but all together they bring additional technologies or ways of doing things that are better or different than other nations. There’s also a benefit of working with friends and allies towards a common goal. Is there sort of a diplomatic air to the job? I’m not an “ambassador,” but when you have to sit down and work with all these different countries, it helps foster those relationships that are so important. We’re focused on a product, but building upon those relationships with all those other countries is an intangible benefit. In your role, what have you’ve seen that the consortium delivers to the surface fleet? In the relatively short time I’ve been in the job, I’ve been able to watch the development of ESSM Block 2. We’re not there yet. We’re still in the development. But that’s going to bring a great improvement in capability to all of the nations that have signed up to take that on. It’s a really important capability improvement. How would you describe that capability in terms of what it brings to the U.S. Navy? Any of our ships that currently have ESSM will get the Block 2. I don’t know how much I can talk about the specific capability. ESSM is part of a layered defense that also includes Standard Missile, RAM and CIWS. We’ve steadily improved the product over the years and Block 2 will be another step in improvements. Looking back to the beginning of the consortium to the weapon we’re producing now, how would you characterize the legacy of the consortium we have now, and the greater sophistication of the product? It’s NATO’s longest-running consortium-led product, now celebrating 50 years. We started with a sea-based version of an air-to-air missile, and we have made gradual improvements to the missile, the combat management systems, and the launchers. And that development continues. In your job, interoperability is important. With ESSM, you have a weapon that is shared among a number of allied nations. It’s a great example of interoperability. To the extent that we all employ the same system, missile and parts helps foster our ability to work together. What are some of your impressions about the collaboration among the consortium members? Everybody brings their own views to the consortium, and how they approach their own involvement. And what their industry partners bring to the table can be a little bit different. Depending on how many missiles a country is buying, and how much they’re contributing, along with some fairly strong personalities mixed in, can make for some lively discussions. But regardless of how big their navy is, or how many missiles they’re buying, there is value for them. It certainly means that they’re going to have one of the best defense missiles. Is there anything else beyond ESSM that you would want people know about it? We’re focused on improving lethality and doing it quickly, which means figuring out ways of using the things you already have. We focusing on integrated fire control and mission engineering, which is the ability to create sensor and weapon pairs from disparate sources. We want to get capability out there rapidly but affordably. We already have the weapons, so we’re examining what sensors and controllers can service that weapon, in what circumstances and against more threats. We have the Naval Integrated Fire Control-Counter air (NIFC-CA) which involves the E-2D, the SM-6 missile, the Aegis surface combatant, and Cooperative Engagement Capability (CEC) all networked together. So we’re looking at all the different platforms that might be able to do that. And quickly, while being very mindful of cost.